The Dulnain is a newly refurbished lodge at Muckrach. 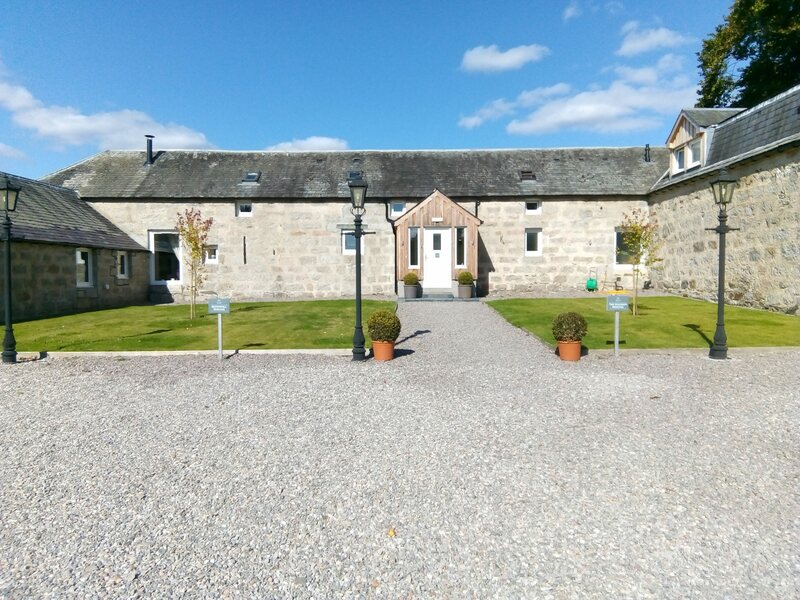 The Dulnain is a 3 bedroom lodge housed in the steading building adjacent to the hotel. The Dulnain sleeps up to 6 guests in 3 bedrooms, complete with premium pillows and soft white cotton bedding. The Dulnain has a family bathroom and one bedroom with an ensuite with porcelanosa- tiles and chrome fittings. 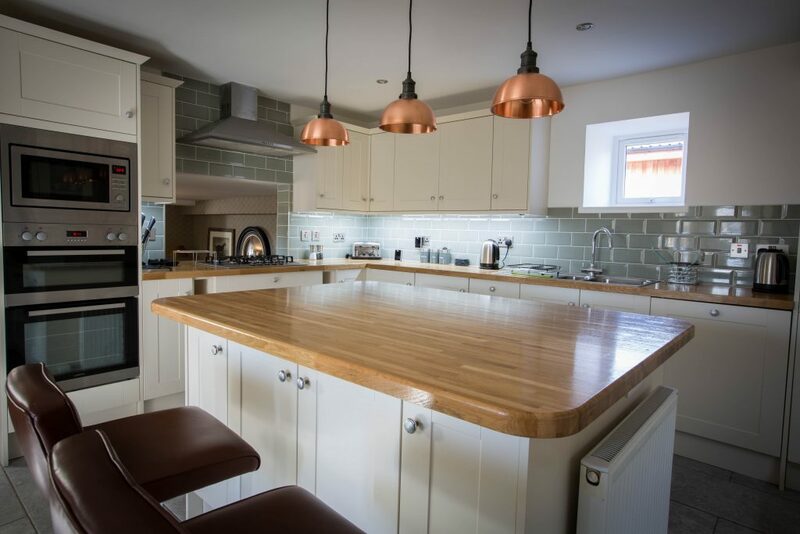 Cosy up by the fire in this luxurious accommodation in front of a roaring log burning stove. 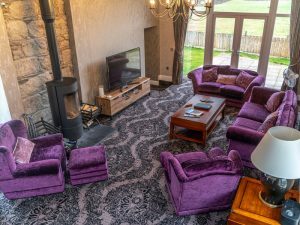 Enjoy views of the Muckrach Castle from the lounge area or your private garden outside. 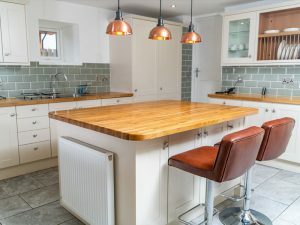 The kitchen is fully equipped with everything you need to rustle up your food, or have this all done for you in our main Restaurant situated in the hotel. Dine with us for Breakfast, Lunch or Dinner or even enjoy some drinks at the bar. 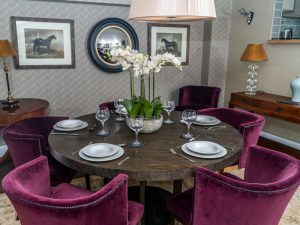 The Dulnain is Dog friendly and can come complete with a dog bed and bowl if required ( or borrow our resident dog Harry ). The Dulnain has WiFi, all services are included, washing machine, dryer and parking for 3 cars. The Dulnain now has a brand new feature. 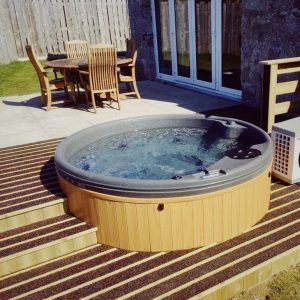 A luxury hot tub which is situated on the patio area outside of the cottage. This hot tub is for exclusive use for those who have rented the Dulnain lodge. 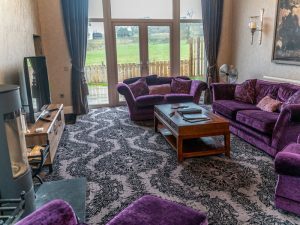 Sit in the hot tub with a glass of fizz and enjoy views of the Muckrach castle.